Acids and other chemical agents are being used to improve facial skin or treat skin problems by a lot of people these days. These chemicals are used in many forms of treatment, but the most popular of them all is the facial peel treatment. These treatments are cheaper than any other skin treatments being offered today. These peels are able to treat skin problems such as sun damaged skin, acne, acne scarring, wrinkles and blemishes, and it is also able to promote skin rejuvenation. Commonly, commercial facial peels can only be used by skin experts on dermatology clinics, so if you would want to have a peel you would need to spend a little bit of cash. 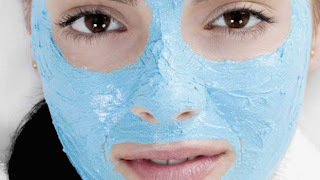 Today, there are facial peel products being sold that allows us to do the peels on our very home. They are as effective and safe as these commercial peels but costs much cheaper as well. There are a lot of peels to choose from now, and each one has its own level of effectivity as well as a type of skin problem it is effective in treating. Glycolic and salicyclic peels are very effective in treating sun damage scene and moderate acne. For effective treatment of severe acne, wrinkles and blemishes, dark spots and hyper pigmentation a Jessner or TCA peel would work best for you. The type of skin that you have is also a very big factor in determining what type of peel you can use on it. Of course peels are not the only effective and cheaper way of dealing with your acne problems. There is also natural ways of doing it like proper dieting, lifestyle change and of course natural remedies.